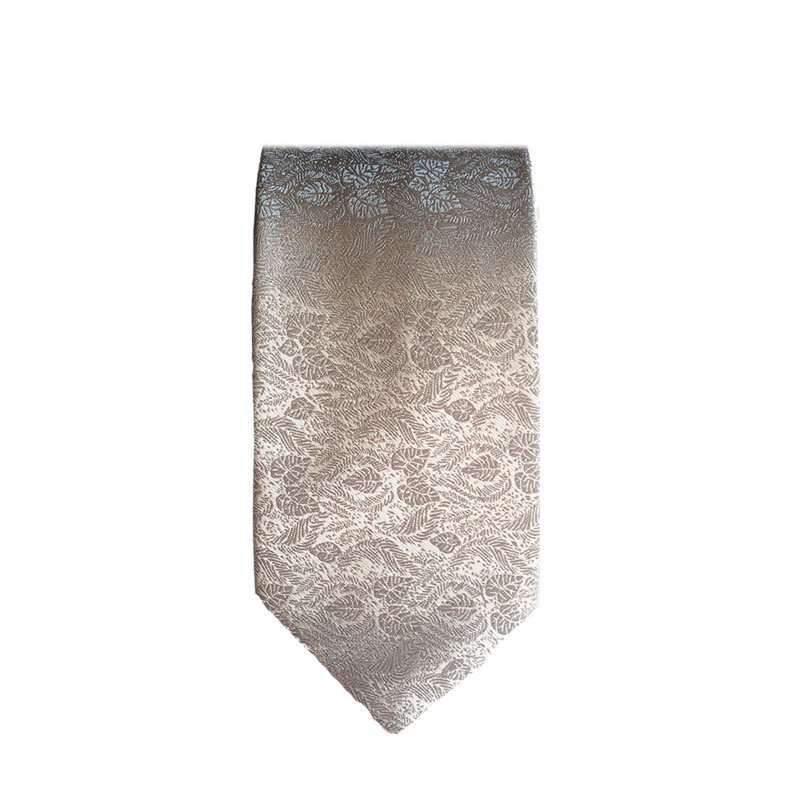 A silver tie with a foulard leaves design. Very classy and suitable for all occasions. Perfect with a darker shirt.